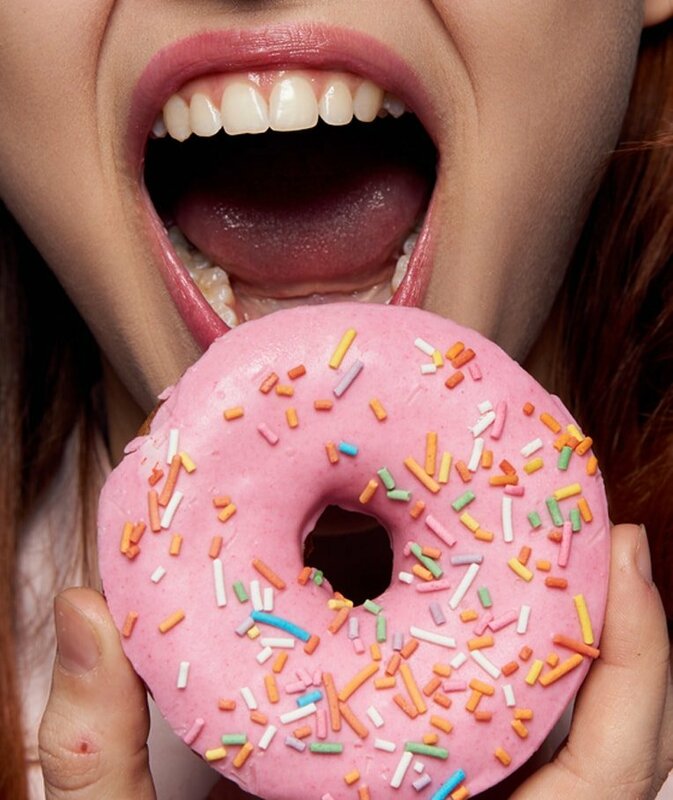 Emotional Eating in its simplest form is- eating to satisfy emotional needs, rather than to satisfy physical hunger. We have all done it – perhaps we have reached for the ice cream when we were feeling upset or down, stopped off at the drive-through on our way home from work due to feeling stressed or overwhelmed, or ordered a takeaway because we felt lonely or bored. However, we not only eat when we experience “negative emotions”, but we also eat when we are in a positive emotional state – e.g celebrating with friends and loved ones, special occasions, and gatherings, etc. It’s part of our culture. There is nothing wrong with this. Where we run into trouble is when eating becomes our primary emotional coping mechanism. For example- when your first impulse is to open the refrigerator whenever you’re stressed, upset, angry, lonely, exhausted, or bored. It is what we choose to do with these emotions that determine our relationship with food and emotional eating. I want to say, if you feel alone with this and maybe even thinking that something is wrong with you, I would like to shine some light here. You are not alone and it is also not your fault. Most of us grow up being rewarded with lollies and candy when we had been “a good girl/boy”. From a young age, food has always been given to us as an incentive to finish a task, if we hurt ourselves or feel sad etc. It is no wonder that so many of us as adults struggle to regulate our emotions without the aid of food when it has been taught to us from such a tender age. I also struggled with emotional eating and when I healed my own relationship with food, I devoted my life to help others too. 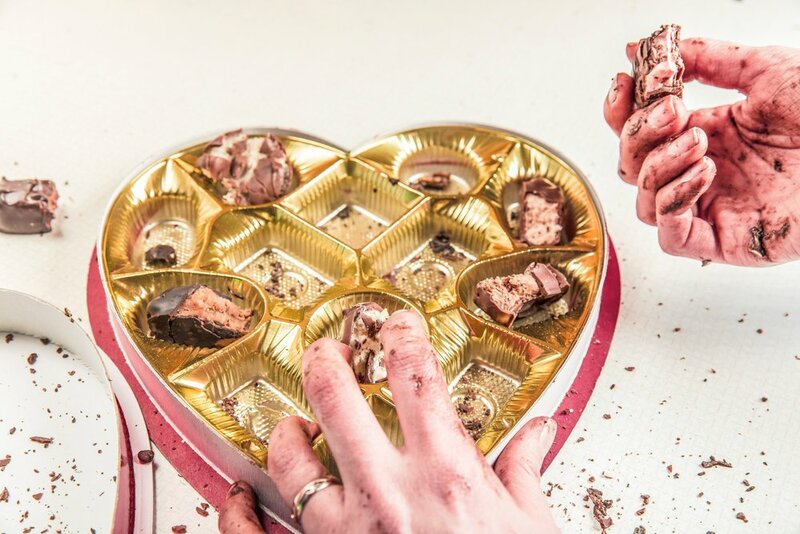 I’ve come up with five powerful tools for how to put an end to emotional eating for good. Following these steps takes practice and a little bravery, but if you follow them not only will you stop eating emotionally, but you’ll also learn to start enjoying your food — and your life — in a whole new way. When we feel stressed our bodies release a chemical called cortisol. When cortisol is elevated, as a response to stress, it increases our hunger and creates a flight or fight response in our bodies. When we experience this heightened response, our bodies have a tendency to crave foods high in sugar and fat. Our bodies will generally store this fat in the stomach area and people will often describe this fat as ” a stress belly”. There is extensive research that indicates when we are experiencing feelings of sadness or a low mood our taste buds change. They become dull and numb and do not taste foods in their full entirety. That’s why an apple tastes rather sour instead of sweet. Naturally, we will want to have something sweet to create comfort and choose food with a higher amount of sugar. Also, when we are in this state the part of our brain that is responsible for thinking rationally is not firing, because our brain is wired to keep us safe. Consequently, we have a tendency to go into autopilot and reach for food mindlessly. This results in consuming larger quantities of these foods. Here are my powerful tools to gain control over Emotional Eating. Deep belly breathing or also known as Diaphragmatic Breathing, is breathing that is done by contracting the diaphragm – a muscle located horizontally between the thoracic cavity and abdominal cavity. During this type of breathing, air enters the lungs, the chest does not rise and the belly expands. Next time you are feeling overwhelmed or stressed try practicing 5-6 rounds of this breathing. You will be experiencing feelings of relaxation and calmness come over you. The beauty of deep belly breathing is that it can be done anywhere at any time. Move your body! Yes, that’s right! Go and create some movement. Motion creates emotion. When you have gone outside for a walk, how do you feel after? When you get up and dance, note how you feel in your body and mind. Your body and brain will release endorphins making you feel energized, clear-headed and relaxed. So many of my clients tell me how much yoga has helped them to feel more relaxed and calm. 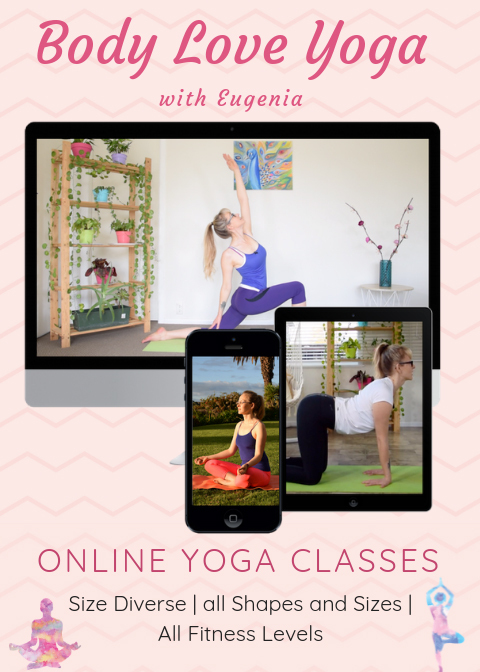 Oh, and did you know that you can join us now for our Online Body Love Yoga Classes? Give it a go. You can do a free 7-day trial now. When we are experiencing feelings of stress and we turn to food it is because we want our body to change how it is feeling fast. The fastest way to change how we are feeling is to change our body and our physiology. Walk, dance around, go for a run- just move your body. How you feel will change in a moment and you will find the need to turn to food for comfort will reduce significantly if not altogether. 3. Change Your Focus – by focusing on what you are grateful for. Think about a moment where you felt proud of yourself or chose to be proud of yourself. Think about that moment. What were you thinking and what were you feeling? How did you feel before and after? Think of something you are grateful for now. This could be as simple as someone smiling at you or a roof over your head. How do you feel when you turn your energy to gratitude? AGAIN you have changed your body and changed how you feel, WITHOUT FOOD. 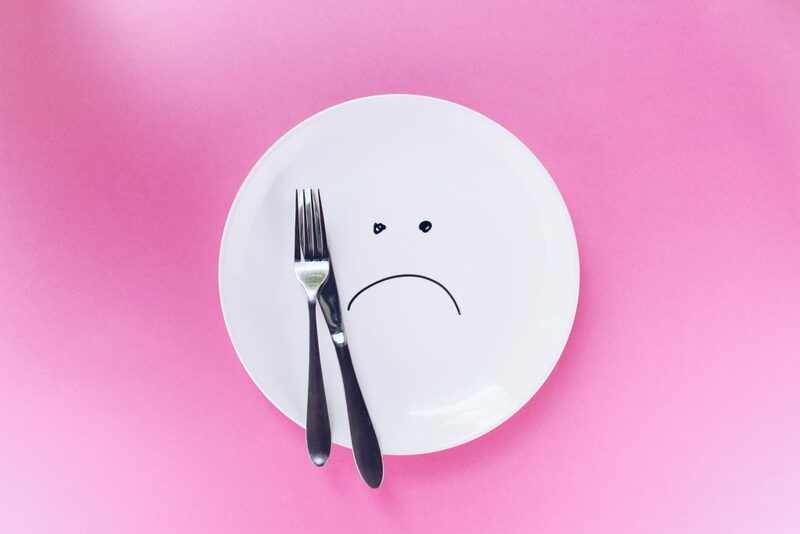 To summarise, when you are feeling emotional and have the urge to turn to food to soothe yourself and feel better try these 3 simple, quick and effective tools. Move your body, change your body and change your mind. Start training your brain. Start noticing how you are talking to yourself and what language you are using. When you constantly say to yourself “I am not good at this” or “I am not good enough” you are actively reinforcing these emotions. Start to regain control of your emotions and how you choose to deal with them. Start small – consistency is key. If you want to look into your relationship with food, your coping mechanism and your habits further and feel some support might be helpful, just contact me for a free chat or check out our Mindfoodness Food Freedom Warriors Inner Circle. You will get monthly coaching with Eugenia and be part of an amazing group of like-minded people who are, like you, want to gain food and body freedom to have a fulfilled, fun, exciting and happy life.